The book provides a tool kit for managers tasked with raising performance and sustaining motivation. Organisations are being judged by the way in which they accommodate the needs of the individual in work and life-style terms. In this context, the ‘smart’ employer will not only be looking to develop policies that retain talent through recognising their work-life issues, they will be equipping their managers to manage that talent in ways which maximise the contribution that individual can make. The text introduces managers to techniques largely drawn from Brief Therapy (De Shazer & Berg). Brief Therapy is used in the UK, but primarily by social workers, psychologists and counsellors. It's application to work settings is now growing. The attraction of a Solution Focussed approach to coaching is that it offers pragmatic tools that help managers structure helping conversations. The book presents the principles of solution focussed thinking in a language that is readily understandable by managers, and shows how those principles can be applied to a range of issues which managers may find themselves facing as willing or enforced coaches. 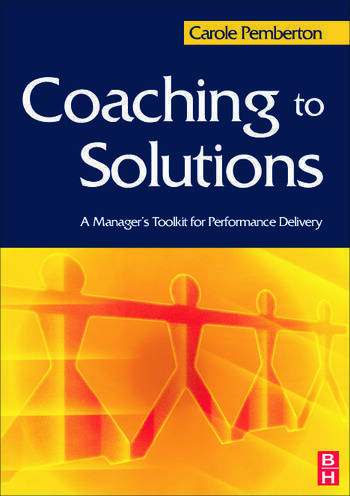 The book places coaching as an activity which can be done as part of the daily process of management.